A lovely 2 bedroom apartment in a brand new development in Sotogrande, ideally located between sea and countryside, a landscape full of golf courses and close to the sea, where one can enjoy a lifestyle in touch with nature. 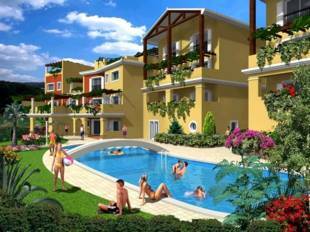 The complex is set in beautiful grounds with swimming pool and the apartment is equipped with top of the range material. The spacious terrace has got wonderful views, total luxury. set between two magnificent Sotogrande golf courses this development has the best of everything. Close to Severiano Ballisteros golf school, San Roque club and some of the finest dinning on the southern coast. The privilege of living between two of the greatest fairways is an opportunity that is unlikely to come on to the market again. 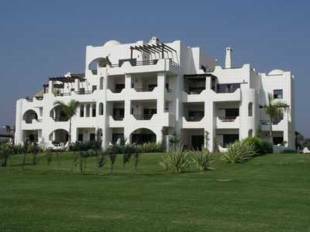 Luxury apartments and penthouses set on a man-made island in the famous Sotogrande Marina. Due for completion Spring 2004. A place where all the qualities of life can be enjoyed. A beautiful setting in a prestigious area. Surrounded by some of the best golf courses in Spain, Valderrama to name just one. 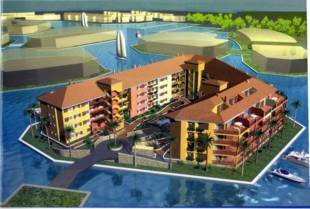 Set in the heart of the most attractive and picturesque marina on the coast. This development has the added bonus of being able to lease your own boat mooring on site, adding to the enjoyment of living on the sea, with the option of being able to leave it all behind right on your doorstep ! An enviable and unique concept. 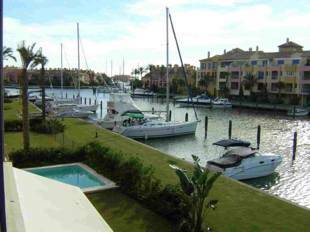 Lovely brand new apartment frontline Sotogrande port, facing south onto various moorings soon to be occupied by some beautiful craft ( maybe even yours ) to create the finest outlook to be enjoyed 365 days a year. Walking distance to some great restaurants and coffee shops in the port to meet up with friends and have fun planning the days ahead. Heres your chance to get in to whats being called Spains little Monaco. A truly stunning first floor apartment situated in one of the most sought after developments in Sotogrande Costa. This development is adjacent to the world famous Santa Maria Polo Club and is 5 minutes away from the marina with all its amenities. 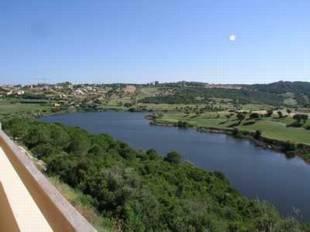 An opportunity to acquire a first floor apartment at the popular new development of Los Gazules, enjoying stunning west facing Lake & Golf views. It is thoughtfully designed with principle rooms enjoying access to the large covered terrace, to accommodate ´al fresco´ living. Finishings throughout are good with an excellent Fully Fitted Kitchen with breakfast area. Two inter-linked infinity edged swimming pools will feature in the secure landscaped gardens.